While in the neighborhood for New Zealand’s rugby finals, Monaco’s new reigning couple stopped by Fiji for a relaxing island holiday. Fiji’s luxurious Yasawa Island Resort and Spa is a gorgeous enclave covered in white beaches, tropical forests, and a scattering of chic bungalows – so it’s no wonder that when Prince Albert and his new wife Princess Charlene decided on a Fiji trip during a break in the Rugby World Cup, they chose to devote a few days to this unique hideaway. With just 18 ‘bures’, the resort guarantees exclusivity, yet offers a true Fijian experience with excursions to other parts of Yasawa Island, like small local villages and the incredible caves made famous in the film The Blue Lagoon. 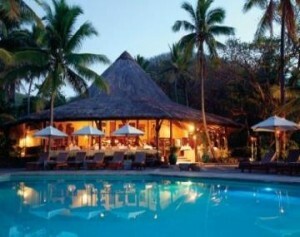 According to Marie Berg, CEO of Tour Pacific, the royal couple had a fantastic time at the exclusive resort. 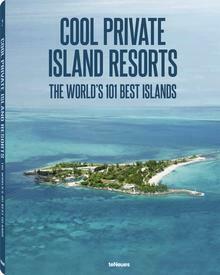 In particular, they appreciated the privacy; long deserted beaches, peace and quiet, elegant spa facilities, and the amazing snorkelling. The resort is renowned for its fresh seafood, and they were no doubt impressed by dishes the resort’s chef prepared from locally-caught fish and lobster. As an idyllic escape from their high-profile lives, Yasawa Island could not have been more ideal for the newlyweds– and next time, they promised to return with friends. The visit to Yasawa was part of a long stay in Fiji for the prince and princess, and it certainly gave provided some excitement in this sleepy corner of the country. Captain Brian, of the charter company Captain Cook, reported on his blog that he and his passengers had the opportunity to meet the pair when travelling through the Yasawa Islands. On an excursion into local villages on the main island, Prince Albert thrilled local children with a visit to the Ratu Namasi School, and the sport-loving royal even played touch rugby with some of the students. 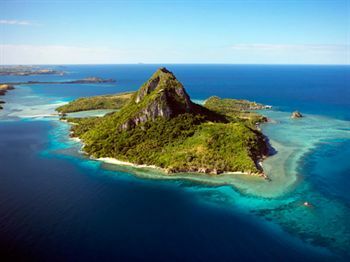 According to luxury firm Vladi Private Islands, which rents and sells islands across the globe, the Fijian people have 15 words for ‘heaven’ – and with its beautiful climate, this applies to Fiji at any time of year. 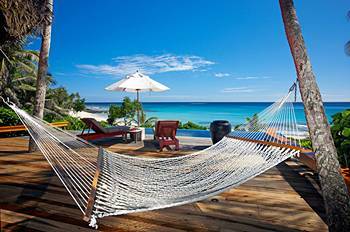 There may be no better time to explore visiting than now; the company said that after recent renovations, the 20-year old Yasawa Island Resort is now offering special packages; guests can stay for 3 nights and pay for two, or stay for a full week and pay for 5 days. After the recent royal stamp of approval from Prince Albert and Princess Charlene, who could resist the call of this little-known paradise?